Redmi Go was launched in India this week, the most affordable smartphone yet in Xiaomi’s India lineup, and the biggest piece of news in the past seven days. Apart from that launch, India saw the arrival of the Vivo V15, featuring a pop-up selfie camera. Xiaomi in China unveiled the Redmi 7 and the Black Shark 2 gaming smartphone, while Lenovo-owned Motorola confirmed the Moto G7 would be launching in India on Monday. Facebook admitted a glitch had exposed millions of user passwords and Apple launched a bunch of hardware — read on for all the details. The entry-level Redmi Go smartphone was launched by Xiaomi in India this week, and it is priced at Rs. 4,499. This, as we mentioned, makes it the most affordable handset launched in India by the Chinese electronics company. 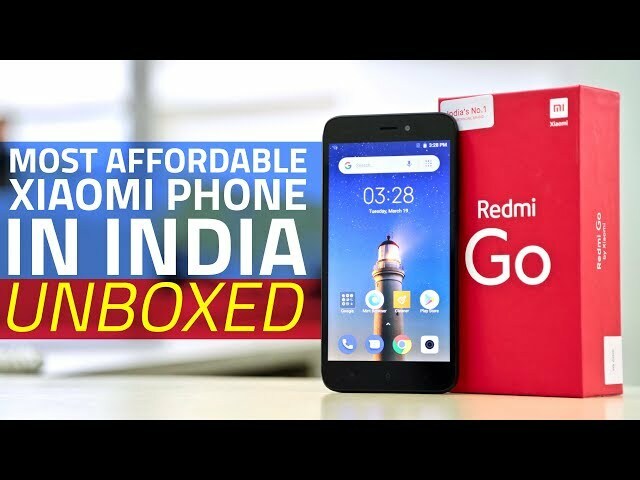 The Redmi Go also went on sale for the first time in the country this week via Flipkart, Mi.com, and Mi Home stores, while its second sale has been scheduled for Monday, March 25. Being an entry-level offering, the Redmi Go doesn’t have many highlight features to write home about. The smartphone was first unveiled back in January, and soon after made available in the Philippines, so the India launch is not the first time we’re seeing it. The company is providing a few perks to Redmi Go buyers though, such as unlimited Google Photos storage in high quality resolution, dual microphones for noise reduction during calls, as well as HDR features for the front camera. Other Redmi Go specifications include Android 8.1 Oreo (Go edition), a 5-inch HD display, Snapdragon 425 SoC, 1GB of RAM, an 8-megapixel rear camera, a 5-megapixel front camera, 8GB of inbuilt storage expandable via microSD card (up to 128GB) with its own dedicated slot, 4G VoLTE connectivity, and a 3,000mAh battery – which is relatively large for the price point. The Redmi Go will be available in Black and Blue colour variants. As we mentioned, the Redmi 7 was launched in China this week – the latest budget offering from Xiaomi. The company also unveiled the China variant of the Redmi Note 7 Pro, which features increased storage but no other discernible differences. On the same day, Xiaomi launched the Black Shark 2 gaming smartphone. The Redmi 7 has been priced starting CNY 699 (roughly Rs. 7,100) for the 2GB RAM/ 16GB storage variant in China. The 3GB RAM/ 32GB storage Redmi 7 variant is priced at CNY 799 (roughly Rs. 8,200), while the 4GB RAM/ 64GB storage model is priced at CNY 999 (roughly Rs. 10,200). The Redmi 7 was launched in three colour variants — Dream Blue, Charm Night Red, and Bright Black. Sales start from March 26. 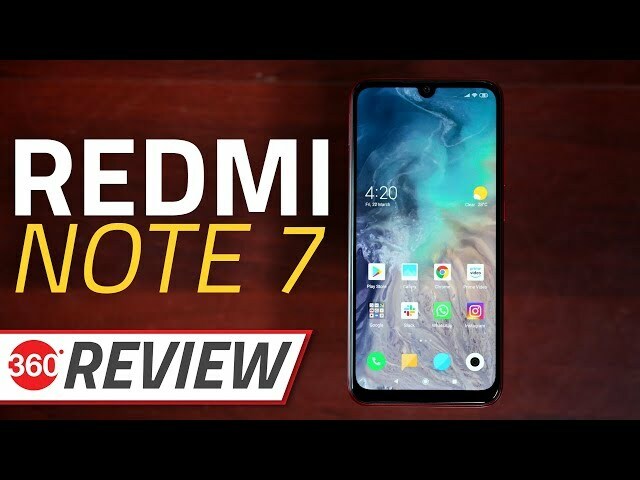 The Redmi 7 runs MIUI 10-based on Android 9 Pie, and sports 6.26-inch HD+ (720×1520 pixels) display, Corning Gorilla Glass 5 protection, a Qualcomm Snapdragon 632 SoC, up to 4GB RAM, as well as a dual rear camera setup with a 12-megapixel primary sensor and a 2-megapixel secondary sensor. On the front, the Redmi 7 bears an 8-megapixel selfie camera. There is up to 64GB of inbuilt storage on the smartphone, expandable via microSD card (up to 512GB). Apart from the standard connectivity options, the Redmi 7 bears a large 4,000mAh battery. The Black Shark 2 gaming smartphone starts at CNY 3,199 (roughly Rs. 32,700) for its 6GB RAM/ 128GB storage variant, going up to CNY 3,499 (roughly Rs. 35,800) for its 8GB RAM/ 128GB storage variant, CNY 3,799 (roughly Rs. 38,800) for its 8GB RAM/ 256GB storage variant, and CNY 4,199 (roughly Rs. 42,900) for its 12GB RAM/ 256GB storage. It will be made available in Frozen Silver and Shadow Black colour options. Xiaomi is touting its new Liquid Cool 3.0 tech for cooling, Magic Press pressure-sensing tech as well as reduced touch response time, as well as Qualcomm’s Snapdragon Elite Gaming tech. Specifications of the Black Shark 2 include a 6.39-inch full-HD+ (1080×2340 pixels) AMOLED display, Qualcomm Snapdragon 855 SoC with up to 12GB of RAM, as well as a dual rear camera setup with a 48-megapixel primary sensor and a 12-megapixel secondary sensor. On the front, the Black Shark 2 has a 20-megapixel camera. Apart from standard connectivity options include Bluetooth v5.0, the smartphone bears a 4,000mAh battery, and its sensors include an in-display fingerprint sensor. In other Xiaomi news this week, CEO Lei Jun during the company’s quarterly earnings conference saidthat the Redmi Note 7 series, which also includes the Redmi Note 7 Pro, is expected to reach 4 million in sales by the end of March. The company this week also announced an MIUI 10 Beta testing programme for the Redmi Note 7 and Redmi Note 7 Pro, allowing users who apply to the programme to test new features before their general availability. This week also saw the second sale of the Redmi Note 7 Pro and the third sale of the Redmi Note 7 in India – this time, Xiaomi did not reveal any sales numbers. The Poco F1 rounds up the last of our official Xiaomi news this week – the smartphone has received a temporary price cut in India, applying only to its 6GB RAM/ 128GB inbuilt storage model. The variant will be available at Rs. 20,999 (a Rs. 2,000 discount) from March 25 to March 28 in India. To recall, the smartphone was launched to much hype back in August for featuring a Snapdragon 845 SoC at a price under Rs. 30,000. The more affordable sibling of the recently launched Vivo V15 Pro, the Vivo V15, was unveiled in Indiathis week. To recall, the Vivo V15 was first released in Thailand earlier this month. Just like its better endowed sibling, the biggest highlight of the Vivo V15 is its bezel-less and notch-less display, made possible by the use of a pop-up selfie camera. The Vivo V15 price in India has been set at Rs. 23,990, and it will be made available via the Vivo India e-store, Amazon India, Flipkart, Paytm Mall, Tata CliQ, and offline channels from April 1. Pre-orders have already begun, and launch offers including a free one-time screen replacement, cashbacks, and extra exchange discount have been unveiled. 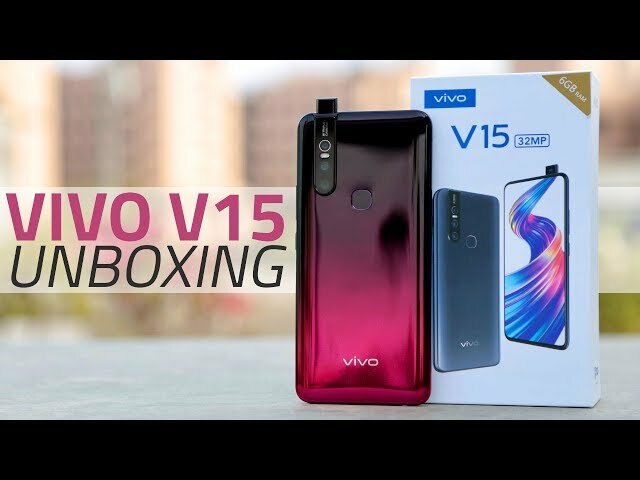 Vivo V15 specifications include a 6.53-inch full-HD+ (1080×2340 pixels) InCell FullView Display, Corning Gorilla Glass 5 protection, Funtouch OS 9 based on Android 9 Pie, MediaTek Helio P70 SoC, 6GB of RAM, as well as a triple rear camera setup with a 12-megapixel primary sensor, an 8-megapixel sensor, and a 5-megapixel sensor. On the front of the Vivo V15, the highlight 32-megapixel pop-up selfie camera can be seen. There is 64GB of inbuilt storage expandable via microSD card (up to 256GB). A fingerprint sensor is present on the rear panel. The Vivo V15 is powered by a 4,000mAh battery. Lenovo owned Motorola Mobility this week began teasing the launch of the Moto G7 in India, before revealing the launch will be held on Monday, March 25. For now, no invites have been sent for a launch, and neither have timings been shared, indicating there would be no live stream and the company would unveil the Moto G7 price in India and its availability via a press release. To recall, the Moto G7 was first launched in Brazil in February. The smartphone was priced at $299 (roughly Rs. 21,300), and can be expected to be available around this price point in India as well. Moto G7 specifications include a 6.24-inch full-HD+ (1080×2270 pixels) Max Vision LTPS LCD display, Android 9.0 Pie, Corning Gorilla Glass 3 protection, a Qualcomm Snapdragon 632 SoC, 4GB of RAM, as well as a dual rear camera setup with a 12-megapixel primary sensor and a 5-megapixel secondary sensor. On the front, the Moto G7 bears an 8-megapixel camera. Other specifications include 64GB of inbuilt storage expandable via microSD card (up to 512GB); 4G VoLTE, Bluetooth v4.2, and other regular connectivity options, as well as a 3,000mAh battery with 15W TurboPower fast charging support. Samsung this week announced that it is holding an event on April 10 in Bangkok, Milan, and Sao Paulo, where it will unveil more Galaxy A-series smartphones. With Samsung in 2019 having launched the Galaxy A10, Galaxy A30, and Galaxy A50, there were a lot of other rumoured models still in the offing – such as the Galaxy A20, Galaxy A40, Galaxy A60, Galaxy A70, and Galaxy A90 – to complete the lineup. Ahead of the April launch date however, two of the above-mentioned anticipated models were discovered this week – the Galaxy A20 and the Galaxy A40. Let’s start with the Samsung Galaxy A40. The smartphone has gone up for pre-orders in the Netherlands, via a popular online retailer. The listing has revealed the Galaxy A40 price to be EUR 249 (roughly Rs. 19,500), as well as its specifications. 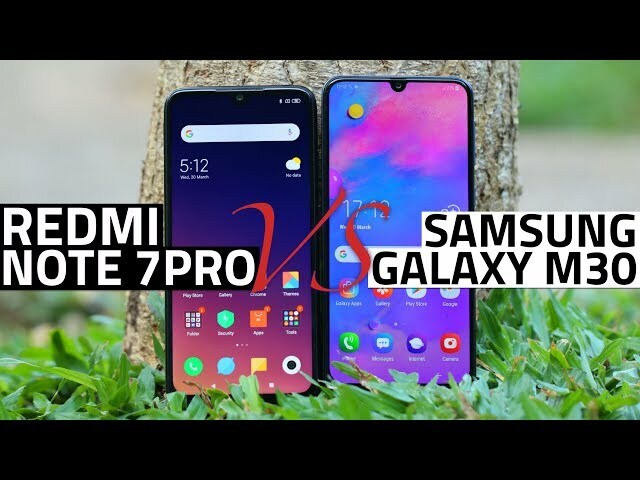 The Samsung Galaxy A40 specifications include Android 9.0 Pie with One UI on top, a 5.9-inch full-HD+ (1080×2280 pixels) Super AMOLED Infinity-U Display, an Exynos 7885 SoC, 4GB of RAM, as well as a dual rear camera setup that includes a 16-megapixel primary sensor, apart from a 25-megapixel front camera. Other specifications include 64GB of inbuilt storage, expandable via microSD card, a rear fingerprint sensor, and a 3,100mAh battery. Coming to the Samsung Galaxy A20, the smartphone was officially launched in Russia this week. Its price has been set at RUB 13,990 (roughly Rs. 15,000). Specifications include 6.4-inch HD+ (720×1560 pixels) Super AMOLED Infinity-V Display, an Exynos 7884 SoC, 3GB of RAM, 32GB of inbuilt storage expandable via microSD card (up to 512GB), a fingerprint sensor on the rear panel, a 4,000mAh battery, as well as a dual rear camera setup with a 13-megapixel primary sensor and a 5-megapixel secondary sensor. The Samsung Galaxy A20 sports an 8-megapixel front camera. Though we are yet to reach the mobile leaks part of our weekly news roundup, it’s probably best to mention here that the Samsung Galaxy A90 was spotted mentioned on a Samsung site this week. The company on its Galaxy A-series page for Indonesia notes that a ‘Notchless Display’ with a Super AMOLED panel is its next immersive display experience, and that it would launch with the Galaxy A90. Nothing more was mentioned, and unfortunately, no image was provided. It remains uncertain where Samsung would place the front camera on the ‘Notchless Display’ of the Galaxy A90, whether it would use a ‘hole-punch’ display like it did with the Galaxy S10 series and the Galaxy A8s, or whether it would launch its first pop-up selfie camera smartphone. Previous leaks tipped the latter possibility, with one going so far as to claim the Galaxy A90 would sport a sliding and rotating camera setup. In other Samsung news, the company is reported to have announced its first 5G smartphone – the Samsung Galaxy S10 5G – would go on sale in South Korea on April 5. Huawei sub-brand Honor had an announcement to make this week – the unveiling of the Honor 10ismartphone. Unfortunately, the brand stopped short of revealing the Honor 10i price, or indeed, its availability beyond “coming soon.” It was spotted listed on the Huawei store site in Russia with Red and Blue gradient colour variants apart from a Black 3D finish colour variant. Honor 10i specifications include a 6.21-inch full-HD+ (1080×2340 pixels) display, EMUI 9.0.1 based on Android 9 Pie, HiSilicon Kirin 710 SoC, 4GB of RAM, 128GB of inbuilt storage, a rear fingerprint sensor, and a 3,400mAh battery. The smartphone features a triple rear camera setup with a 24-megapixel primary sensor, an 8-megapixel secondary sensor, and a 2-megapixel tertiary sensor. On the front, the Honor 10i packs a 32-megapixel selfie camera. In other Huawei news, the Chinese telecommunications giant this week announced that its first foldable smartphone – the Huawei Mate X – would be launched this year itself. Nothing further was revealed about the smartphone’s price in India, or its availability. Notably, the Huawei Mate X was given an EUR 2,299 (around 1,80,000) price tag when it was unveiled at MWC 2019. Not much is known about the Mate X’s pricing in India, but we expect it to be between Rs. 1,70,000 and Rs. 2,00,000. Chinese smartphone maker Oppo was not to be left out the headlines this week, with the unveiling of a mid-range smartphone – the Oppo AX5s. The smartphone has been listed on the Oppo Taiwan site in Red and Black colour options, however, no pricing information has accompanied the listing. We’ll have to wait a little more on that front, it appears. The smartphone appears to be a variant of the Oppo AX5, with minor differences. As for the Oppo AX5s specifications, they include a 6.2-inch HD+ (720×1520 pixels) display, ColorOS 5.2 based on Android 8.1, a MediaTek Helio P35 SoC with 3GB of RAM, 64GB of inbuilt storage, a rear facing AX5s will come with, 3GB of RAM, and 64GB of onboard storage. There is a dual rear camera setup on board, with a 13-megapixel primary sensor and a 2-megapixel secondary sensor, apart from an 8-megapixel front camera. Finally, for our last piece of Oppo news this week, the Oppo A7 and Oppo A5 both received price cuts in India. The Oppo A7 4GB RAM variant is now priced at Rs. 15,990, down from its launch price of Rs. 16,990. On the other hand, the Oppo A5 price has been slashed to Rs. 11,990, down from its earlier price of Rs. 13,990. While the Chinese smartphone manufacturer announced that the price cuts are part of a Holi promotion, Gadgets 360 has confirmed the price cut is permanent. Getting to the venerable Nokia brand handled by fellow Finnish firm HMD Global, we saw two significant headlines this week. The first was a teaser by the company for the launch of its Nokia 9 PureView flagship smartphone in India. In a Facebook post, HMD Global teased that the Nokia 9 PureView would soon be launched in India, but no further details were shared. To recall, the Nokia 9 PureView was unveiled at MWC 2019 alongside several other Nokia smartphone and feature phone models. If the global pricing – $699 (roughly Rs. 49,700) – is any indication, the Nokia 9 PureView will launch in the top-end segment in India. Next up, HMD Global got into some controversy this week, with a report by Norwegian public broadcaster NRK claiming the Nokia 7 Plus was spotted sending data to a server in China, something the company admitted to – adding that an unspecified number of units had sent the data. The company added that a data software glitch had caused the issue in a single batch of Nokia 7 Plus units. Finland’s data protection ombudsman added it would investigate the issue. In a follow-up statementlater in the week, HMD Global said that no data had been compromised, and that the issue had been fixed on most affected handsets in February itself – and detailed how users could check if their units had the fix applied. The OnePlus 3 and the OnePlus 3T were originally promised to receive their Android Pie updates last year, but unfortunately the Chinese company did not deliver. However, it hasn’t forgotten about it. Earlier this week, the company was reported to be recruiting beta testers for the China-specific HydrogenOS Android Pie build for the smartphones, and later this week, it has started registrations for the closed beta programme of the Android Pie update for the OnePlus 3T and OnePlus 3 have begun. Samsung has reportedly begun rolling out the Android Pie-based One UI update for the Samsung Galaxy A6+ and the Samsung Galaxy A8+ (2018). While the former update is rolling out in India, the latter update is rolling out in Poland. We can expect the updates to make their way to more markets soon. Separately, HMD Global this week began rolling out the Android Pie update for the Nokia 5.1. The Finnish company also began rolling out the March Android security updates for the Nokia 5.1 Plus and the Nokia 8.1. The Huawei P30 Pro and Huawei P30 are set to launch at the company’s P30 series launch in Paris on Tuesday, March 26. But ahead of that launch, a large number of leaks have surfaced, detailing nearly every aspect of the smartphones. The biggest of these, of course, was the listing on the company site, as well as the Huawei P30 Pro going up for pre-orders via Amazon Italy. Other Huawei leaks this week included the budget handsets – the Huawei Enjoy 9S and the Huawei Enjoy 9E – both of which are due to launch on Monday, March 25. In all four cases, we don’t have long to wait for official details to emerge. Xiaomi was also in the leak sphere this week, with three as-yet-unannounced models surfacing. The Redmi Y3 was spotted on the Wi-Fi certification site, but beyond revealing it ran Android 9.0 Pie and featured Wi-Fi 802.11 b/g/n connectivity, not much could be discerned from the listing. Separately, the Mi A3 and Mi A3 Lite were thought to have been spotted with their codenames ‘bamboo_sprout’ and ‘cosmos_sprout’. This leak also didn’t reveal too many details, but did mention in-display fingerprint sensors can be expected on both Android One smartphones. Next up, the Moto Z4 was part of leaks this week as well. Alleged Moto Z4 renders made their way to the Internet, showing a 48-megapixel rear camera, a notch display, as well as the pogo connector that enables support for Moto Mod modules. This last bit is surprising, with the Lenovo owned company previously not expected to carry that design decision forward into 2019. There were two other Motorola leaks this week, both revolving around the Motorola One Vision – expected to be launched as the Motorola P40 in China. After being spotted in Android Q Beta code last week, the Pixel 3a nomenclature for the anticipated mid-range Pixel smartphone series was corroborated by another leak this week. The latest leak also detailed a few specifications of the as-yet-unannounced Pixel 3a and Pixel 3a XL, previously thought to be called the Pixel 3 Lite and Pixel 3 Lite XL. The Telecom Regulatory Authority of India (TRAI) this week published its telecom subscription figures for the month of January, and noted that Reliance Jio had a stellar month, adding 93.24 lakh subscribers in the period. State-owned telecom operator Bharat Sanchar Nigam Limited (BSNL) also saw a net increase, with 9.83 lakh additions. Vodafone Idea, however, lost 35.87 lakh subscribers. Airtelon the other saw a very minor addition of 1.03 lakh subscribers in the period. Vodafone this week announced that it was offering a 50 percent discount on an annual Amazon Primesubscription for its prepaid subscribers, as part of its upcoming ‘Youth Offer’. The offer is only valid for prepaid subscribers aged between 18 and 24 years, bringing down the price of the annual Rs. 999 Amazon Prime subscription to Rs. 499. DTH operator Tata Sky this week announced new price slabs for customers with multiple TV connections. Tata Sky said it would consider the price of the primary connection’s plan to determine the price of the additional TV connections. Network capacity fee (NCF), service charges, and Tata Sky Binge service charges would also be calculated only within the primary connection pack’s price. Apple had a busy week, ahead of its March 25 streaming service announcement. The company announced 2019 iPad tablets, the iPad Air and iPad mini, and prices for India were also revealed. In India, the iPad Air price starts at Rs. 44,900 while the iPad mini price starts at Rs. 34,900. The Cupertino, California based company also announced its iMac refresh for 2019, with up to 9th generation Intel Core processors and Radeon Pro Vega graphics. The new 21.5-inch iMac with Retina 4K display price in India starts at Rs. 1,19,900, while the 27-inch iMac with Retina 5K display price in India starts at Rs. 1,69,900. Both will be made available in the country from next week. Alongside, the company dropped prices of SSD upgrades for MacBook Air, MacBook Pro, and Mac mini models in some regions, while the iMac Pro got a 256GB RAM option. Finally, Apple this week launched its new AirPods – which could be called the AirPods 2 – featuring improved battery life, hands-free Hey Siri support, a wireless charging case, and more. India pricing was also revealed, with availability ‘later this spring.’ The new AirPods are priced at Rs. 14,900 with the standard charging case, going up to Rs. 18,900 with the wireless charging case. As a standalone purchase, the wireless charging case will be available at Rs. 7,500. This week, WhatsApp was in the news for two new features being spotted in its Android beta app v2.19.80 – Fowarding Info and the Frequently Forwarded label. The former shows users more information about a message they forwarded, such as how many times it has been forwarded by its recipients. The latter label will show up on messages that have been forwarded more than four times. Both these features were disabled by default, but spotted by beta tracker WABetaInfo. The same site also notes that the WhatsApp Business for iOS app, which itself was only launched this week, was spotted with the Short Link feature in beta this week. WhatsApp this week also partnered with Nasscom to educate people about fake news ahead of the 2019 Lok Sabha Election. The two announced an initiative to train nearly 1 lakh people about how to spot false information, apart from providing them safety and security tips. Facebook this week brought quoted replies to Facebook Messenger, a feature similar to what its other instant messaging service – WhatsApp – already offers. In other Facebook news, the Menlo Park, California based company confirmed reports that it had stored user passwords of millions of users – between 200 million and 600 million – in plain-text format, clarifying that these were exposed due to a glitch and were accessible by about 20,000 employees. In the aftermath of the controversy, Facebook said it was informing the affected users, giving them the choice to change their passwords. This week was rather eventful for the popular game PUBG Mobile as well. At the start of the week, developer Tencent Games finally responded to a ban in Gujarat, and said it was working to find a “reasonable solution” to the problem, including the introduction of a “healthy gameplay system” that promoted a balanced gaming lifestyle such as limiting play time for underage players. The company was spotted testing the PUBG Mobile feature amongst users already, with reports coming from across the country later in the week of a Health Reminder feature that stopped users from playing after a certain amount of time had elapsed. Notably, at this stage, it turns out the feature is not yet perfectly implemented, with adult players also being served the reminders, and the 6-hour play time limit being reduced to just 2 hours for other users. Finally, this week PUBG Mobile celebrated the first year anniversary of its global launch with the release of the PUBG Mobile Update 0.11.5 version that came with Prime and Prime Plus subscriptions apart from other changes. In other gaming news, Google this week unveiled its Stadia game streaming service at its Game Developers Conference (GDC) 2019 keynote address on Tuesday. Pricing of the service will be revealed later this year, the Mountain View-based search giant said. It will be made available in the US, the UK, and Europe in 2019 itself. The announcement follows beta testing of the Project Stream game streaming service late last year, and also Microsoft’s own announcement of its xCloud game streaming service. Do visit our GDC 2019 hub for other announcements from this year’s edition of the Game Developers Conference. In Google news, the company revealed its popular email client Inbox by Gmail would be shutting down on April 2 – the same day as Google+. The app would stop working after that that date, and for now, users have no recourse but to use the regular Gmail – which recently has been gaining some popular features from Inbox by Gmail. Gaming news this week continues with the launch of new gaming laptops in the country from Dell’sAlienware brand on Monday. The company launched the Alienware Area-51m, Alienware m15, and Dell G7 15 gaming laptops in India, priced starting at Rs. 2,99,590, Rs. 1,78,399, and Rs. 1,57,399 respectively. On Sunday, it seemed, however, that the matter had been resolved and that Ola will be resuming services soon.